Psst Psst! Do you love great deals? Do you love BIG DISCOUNTS? Do you want to get your dream branded handbags, shoes, gadgets, watches and more at a LOW price with the non-compromising quality? LAZADA is the answer! Ever since I started using Lazada, I can't stop checking on their deals every few days or every week. (If I said "Everyday", you will think I am being exaggerated. =P) Oh yes, who doesn't want good quality stuff with awesome quality? Lazada also makes shopping easy and safe by providing a fast, intuitive and secure online shopping experience. 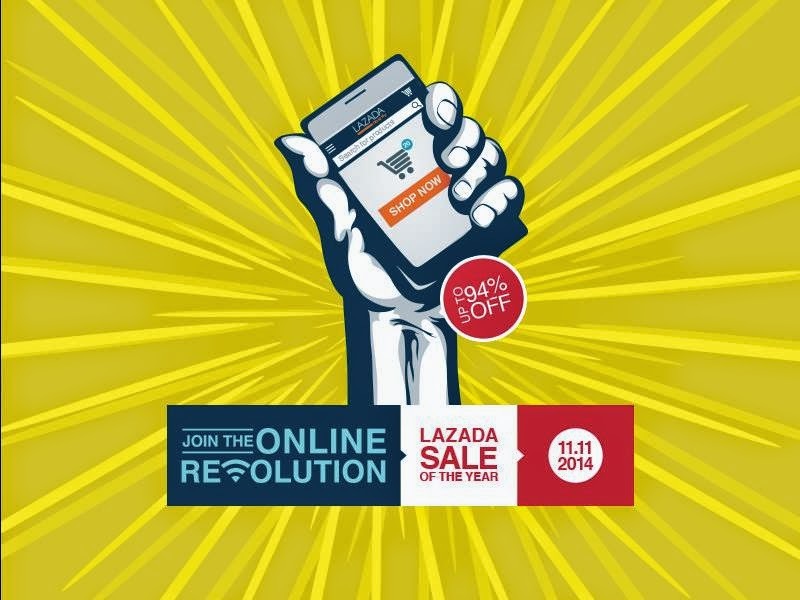 If you prefer shopping from your mobile, you can also do so with the Lazada smartphone app. For added convenience and peace of mind, Lazada offers the widest reach of delivery and cash-on-delivery service, so shoppers from all over Malaysia can buy now and pay only on arrival. Citibank customers within the Klang Valley may also shop online using their Citipoints. You must be thinking why is the signage written as "SaZoRi" but not "Shabu Zone". You shouldn't worry so much about that though! Let's skip this and focus on the food! No, it isn't just normal SHABU-SHABU! Not to promote my Instagram again and again but....this was what I posted on that day! Don't know what is "PONZU"? Read further to find out more about it!! They have a great variety of sauces for u to mix and match. You can have Spicy sauce + Sweet sauce. Don't limit your imagination when it comes to food! They have a lot of choices for drinks. Even for ice cream choices! It uses the "Sushi Counter" concept with the conveyer belt. 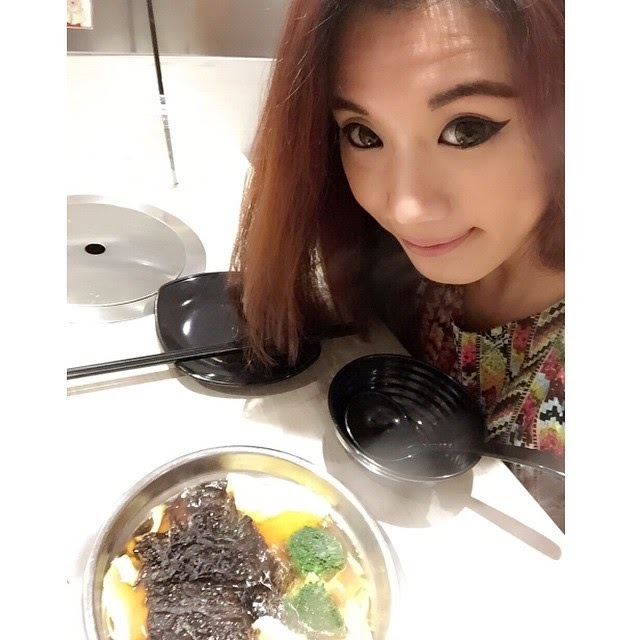 Customers(like us) will get to choose whichever ingredients they want to add into their personal hot pot! But.....don't worry about the freshness as the choices of raw meat will need to order from the counter. The waiting area is surprisingly modern and neatly decorated. Oh yes, forgot to mention that you can do your own BBQ too! With all the meat you ordered and the ingredients you've gotten from the conveyer belt. For people who love the purest taste without any additional taste. For people who would like to challenge for spiciness. Ponzu soup, as mentioned earlier. Ponzu soup is a type of soup with the combination of Lemon and Soy sauce. It tastes like Sukiyaki(Not Sukiya as it is a shop!) but with a little of sourish taste. The sourish taste actually boosts up your appetite and enables you to enjoy more of the soup with freshest ingredients! Nothing special about this as I prefer it to have less vinegar and slightly sweeter. This is too sourish for my preference. Fresh and nicely sliced - easier for us to barbeque it! Dumpling is on the menu as well. I love my Ponzu soup with a lot of veggies and seaweed! Are you having the same liking as mine? Simple interior with just black and white as their theme. A comfortable environment for customers to enjoy their food and moments together. I am not sure if it is our skill or what but this one became shredded chicken at the end of our BBQ. I personally think it's a little too flaky. You can actually see it from the pictures! Just have to imagine the smell and the taste. Not only fresh meat, they also serve fresh seafood too. It's never complete without a bowl of nice ice cream or any sort of desserts! Lunch time: 12 p.m. till 3p.m. Of course, they have other dining packages too if you are not interested in buffet. Do check out their Facebook page for more details!